‘Poetry is not a luxury’ reads the sticker on the poetry shelf in Category Is Books. Tonight they’re launching new poetry collection The Games by Harry Josephine Giles. So if poetry isn’t a luxury, what is it? Giles opens with ‘Thing-Prayer’, in which they repeat the word ‘thing’ so many times it starts sounding more like a strange noise than a word – to deliciously hypnotising effect. This is the pleasure of Giles’ poetry; they make the familiar unfamiliar with their sideways look at the world. The Games, explains Giles, is so-called because that is what it contains – games, spells and plays. Yet this is play with a purpose – to imagine a fairer future. Giles expresses regret that they are good at writing poetry as opposed to organising revolutions. In Abolish the Police they reflect that, ‘The poem is only a world:/here it is, I only pass you the world/without police.’ It may or may not be about to start a revolution but Giles’ poetry does provide us with the space to imagine alternative worlds. So what is poetry? Poetry is play, poetry is imagining new worlds and poetry is the freedom to be yourself. 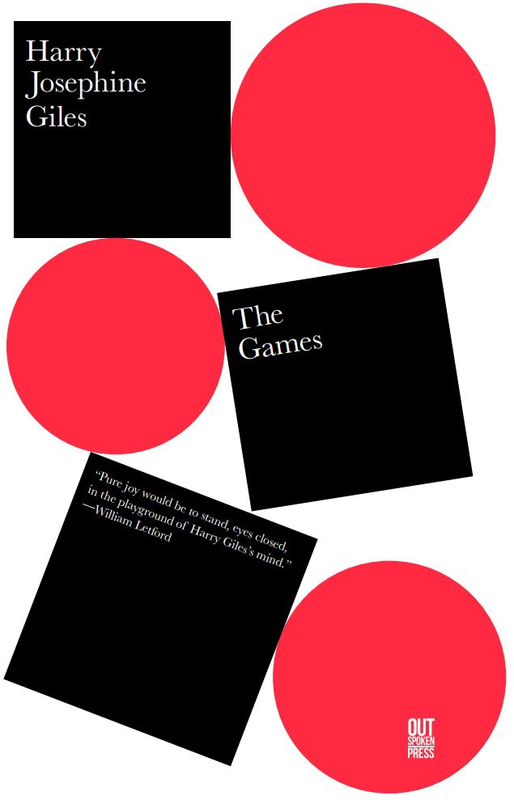 The Games by Harry Josephine Giles is available for £8.99 from Category Is Books at 34 Allison Street, Glasgow, G42 8NN. Photo Credit Category IS Bookshop.